Debbie will WOW your guests and enliven your cocktail party. 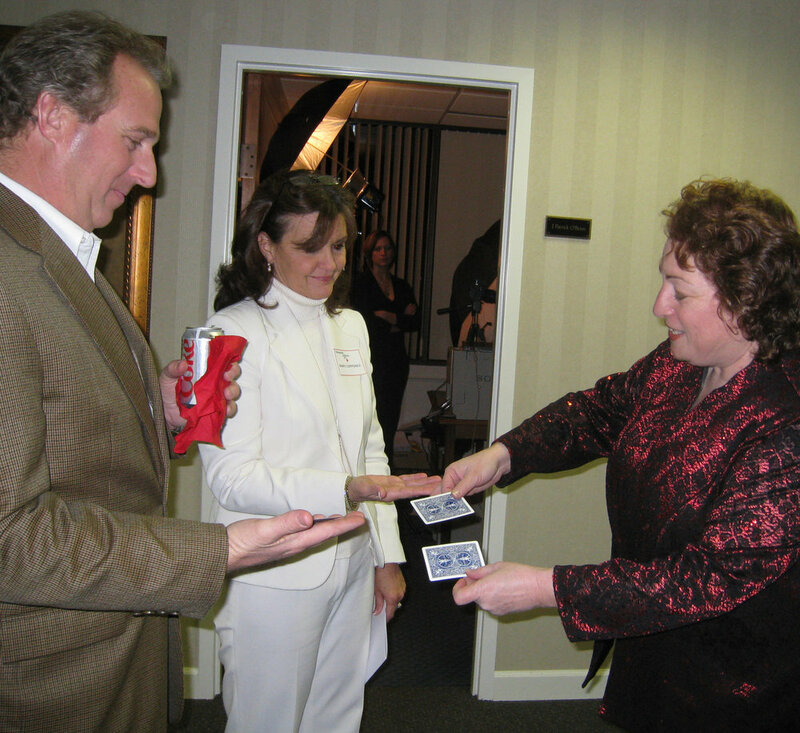 Her uniquely personable style of Interactive Mingling Magic and Mindreading happens up close, right before their eyes. It is the perfect "ice breaker" that gives your guests the opportunity to meet and have something to talk about! Debbie is a combination "magical hostess" and "brand ambassador." 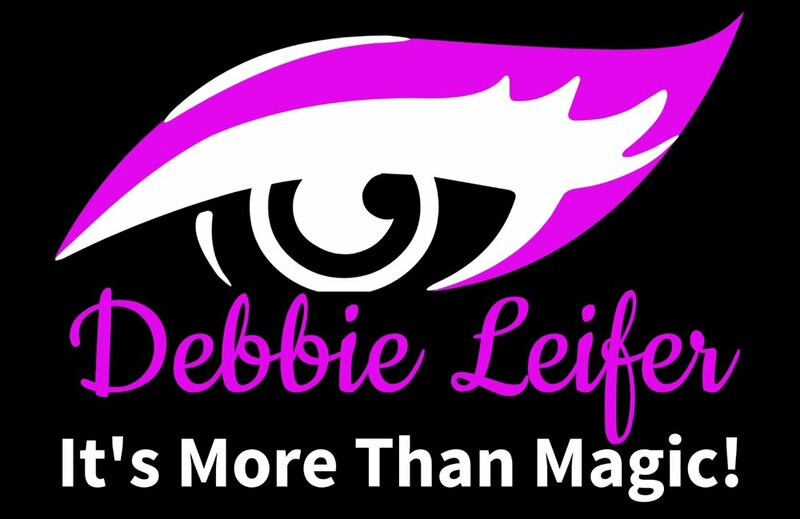 Debbie will charm your clients, colleagues, and VIP guests with sophisticated, award-winning corporate magic and mentalism customized to solidly reinforce your brand. 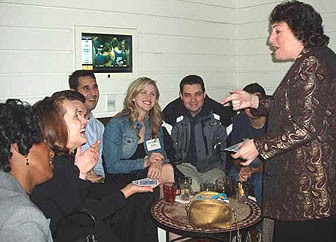 Interactive Mingling Magic will delight your guests during your cocktail hour. Sophisticated Tableside Magic will delight your guests before or after the meal, an after-meal Comedy Magic Show starring the bride and groom will be a memorable addition to your special day. 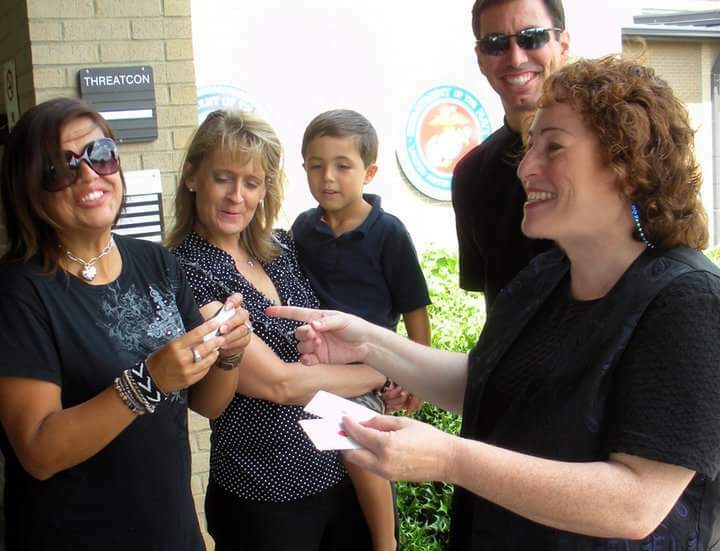 Debbie's specialty is customizing magic to match your party theme! She can even make the guest of honor magically appear! Enhance your customer's dining experience keeping them happy on busy nights while waiting for their table or meal, or encourage visits on slow nights. Debbie's tableside magic is perfect for holiday and restaurant anniversary celebrations! Debbie's "Amazing!" is the perfect special event for hotels and restaurants to host weekly or monthly to increase your customer base, revenue, word-of-mouth reputation, and social media buzz.